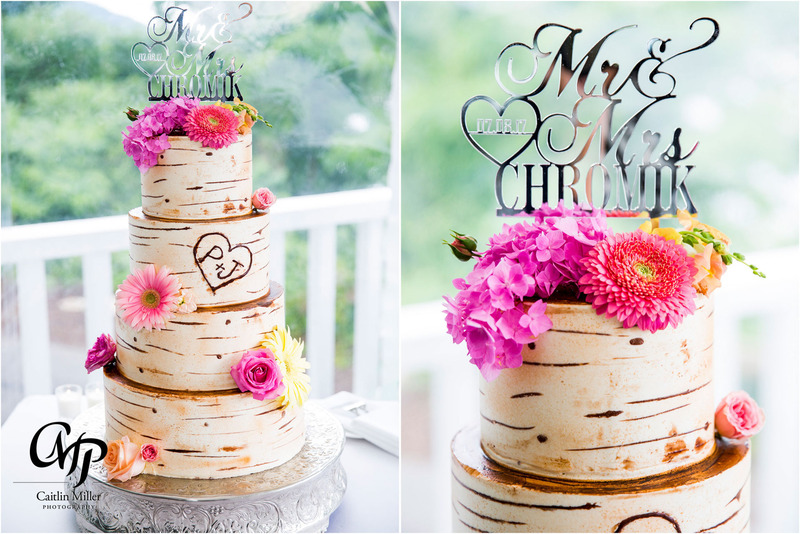 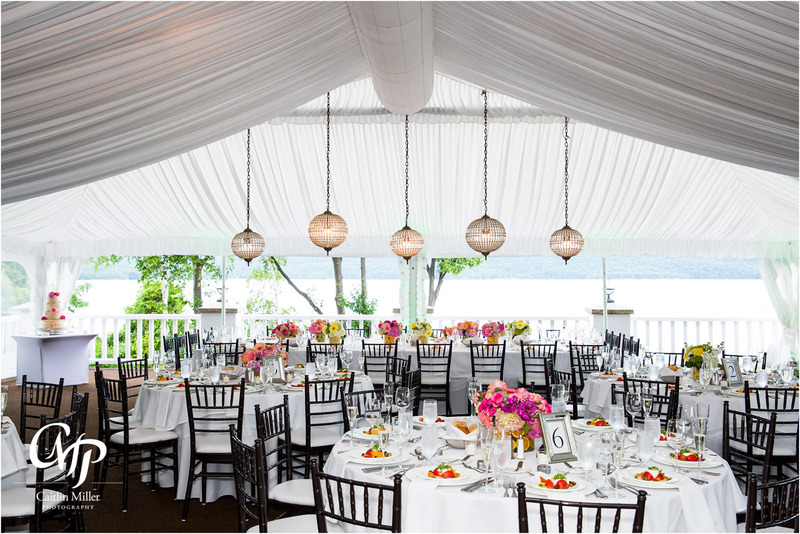 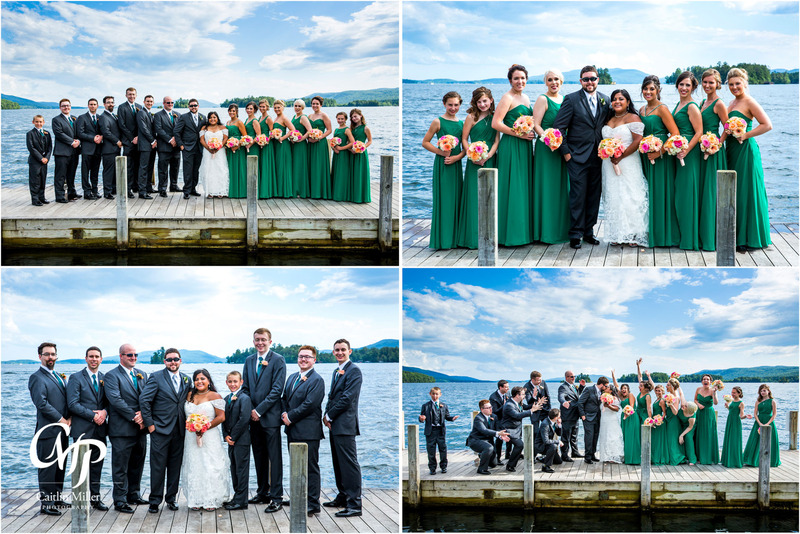 Juliana and Paul’s wedding day started on a rainy Saturday at the Sagamore Resort on Lake George. 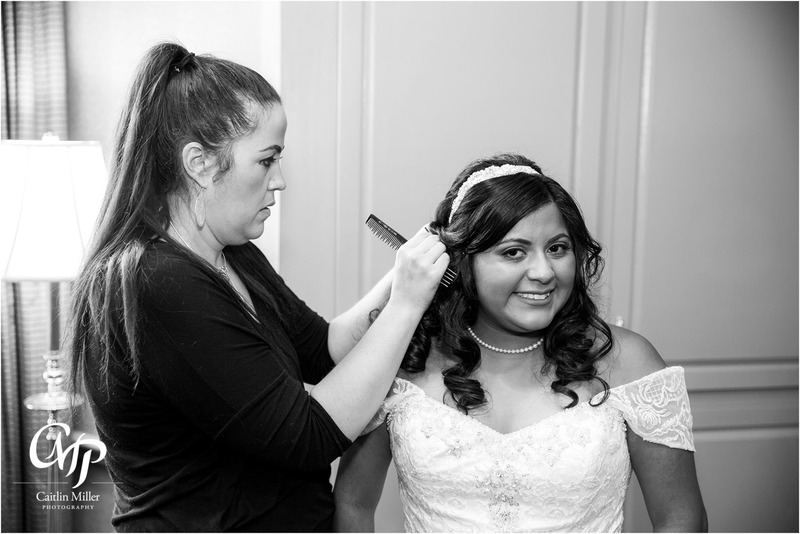 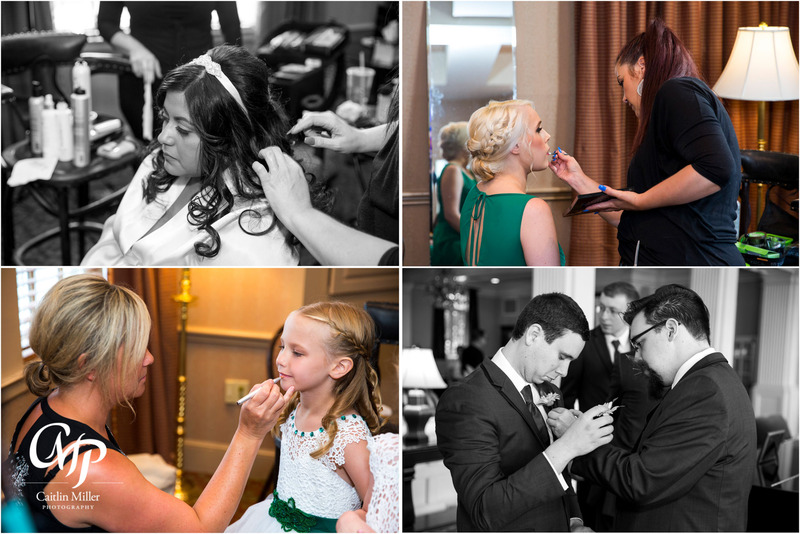 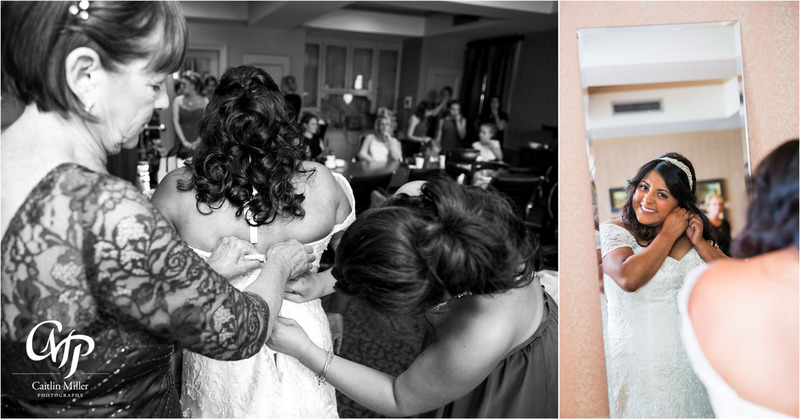 The bride sat for hair and makeup by the talented ladies at Blush 518, while Paul and the groomsmen pinned on boutonnieres. 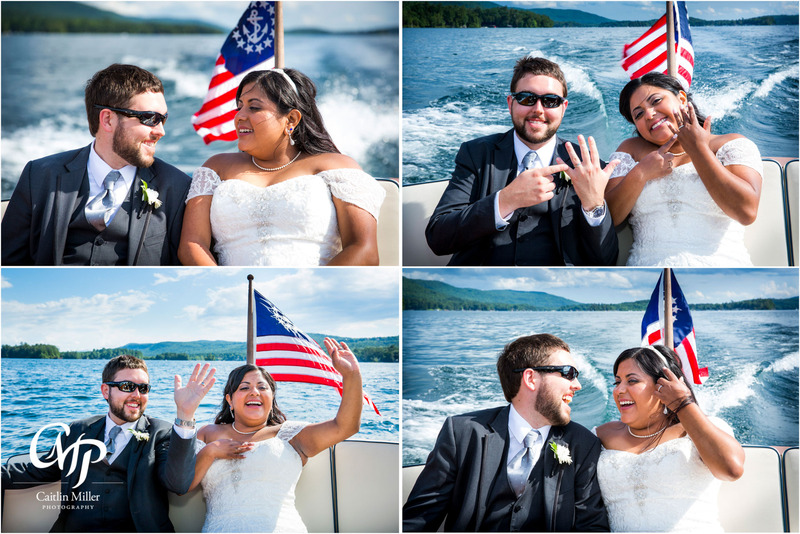 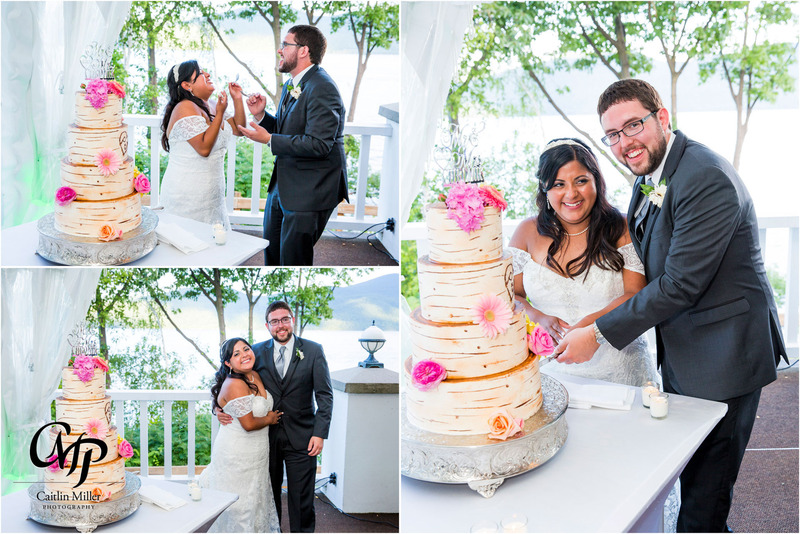 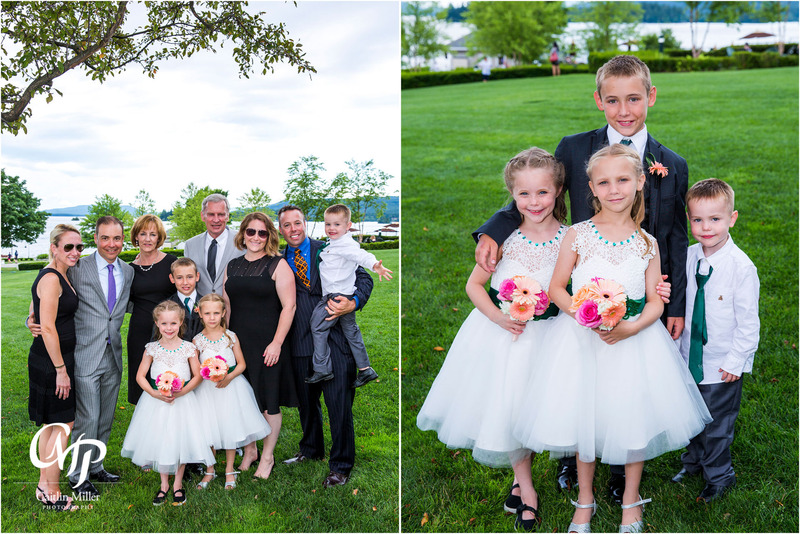 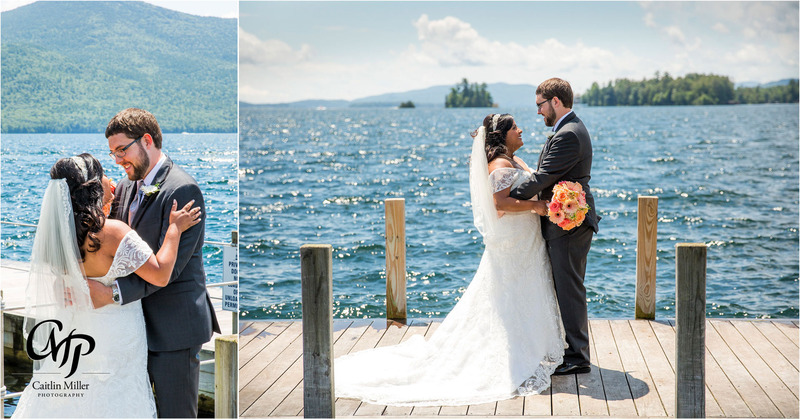 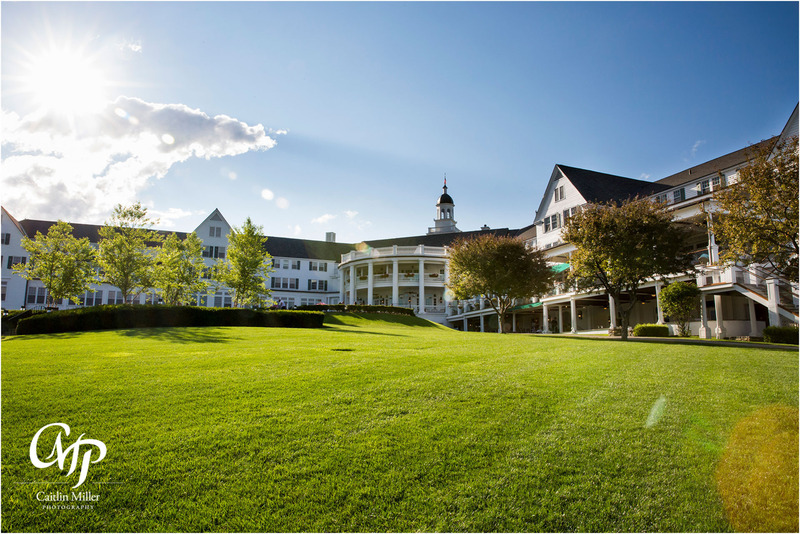 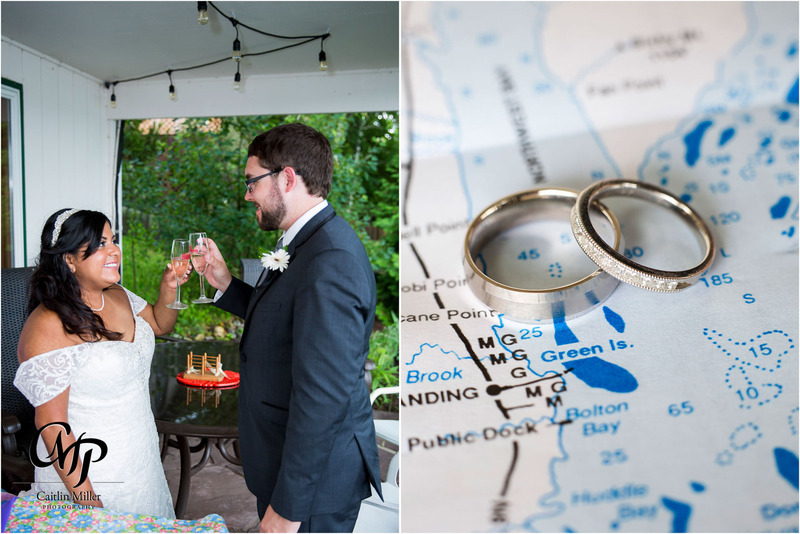 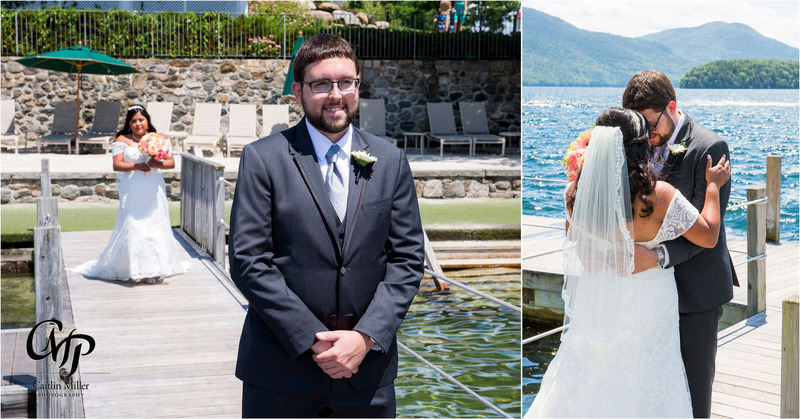 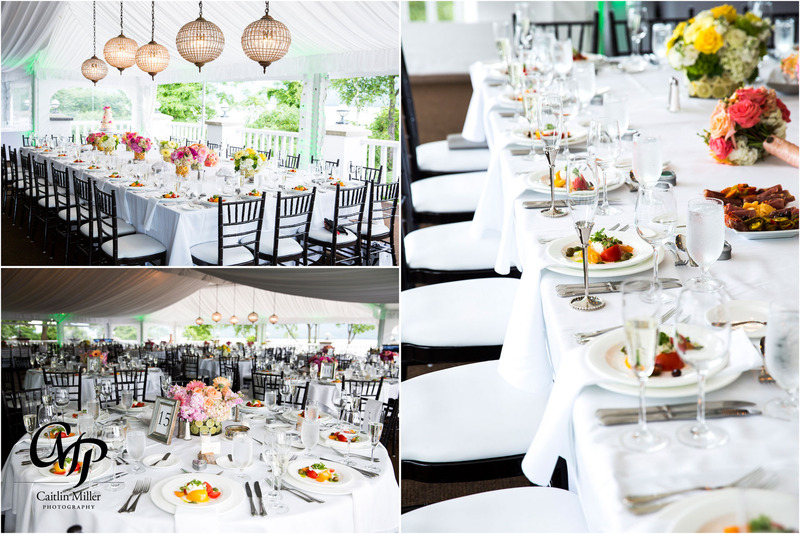 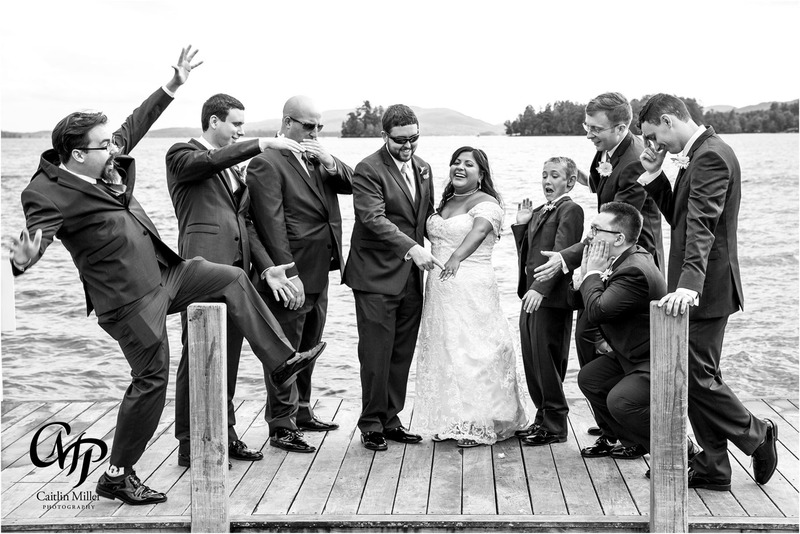 Juliana and Paul shared a sweet first look on the Sagamore Resort docks and a few formal photos alone before jumping in the limo to Sacred Heart in Lake George Village. 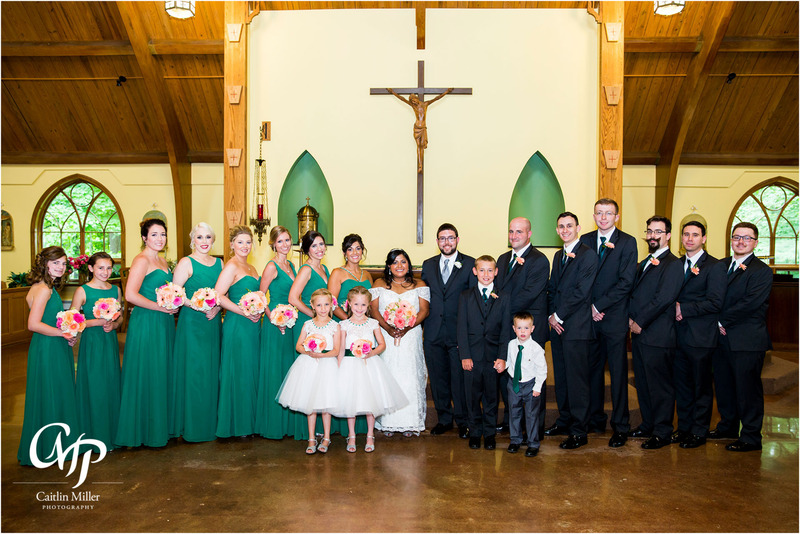 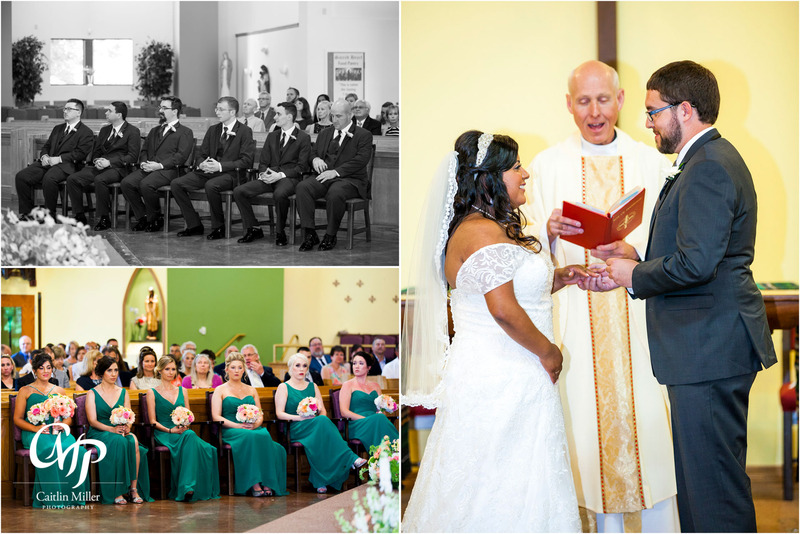 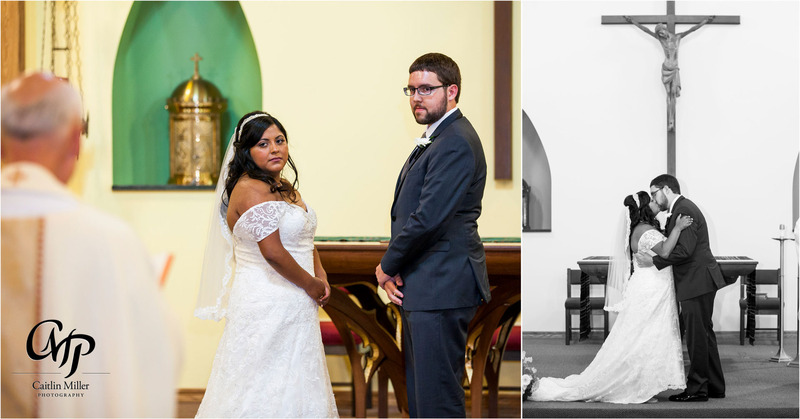 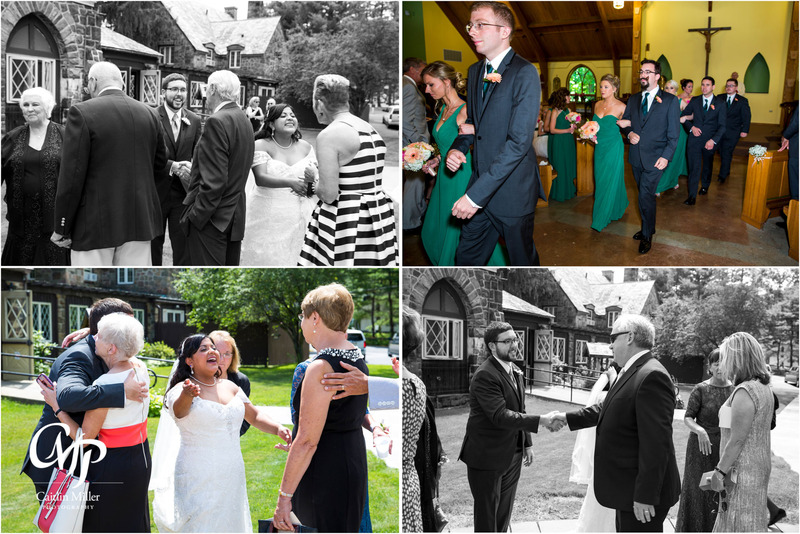 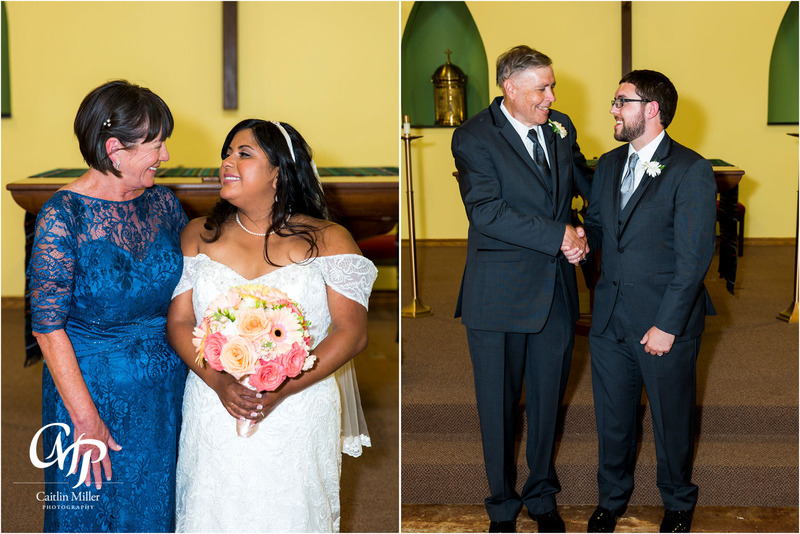 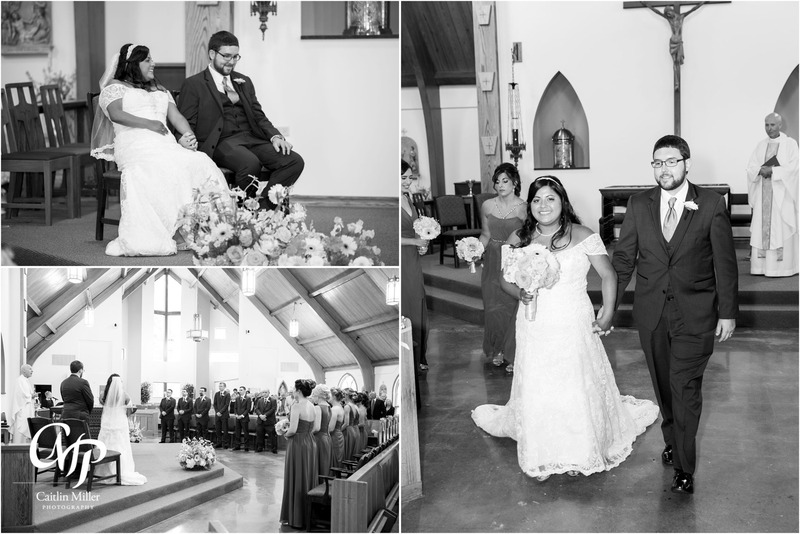 Their beautiful ceremony was highlighted with readings and unique humor provided by Father Joesph Busch. 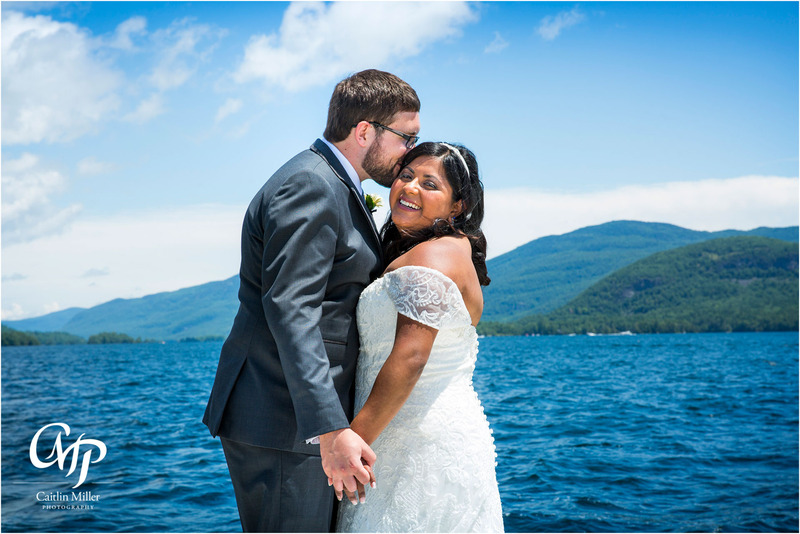 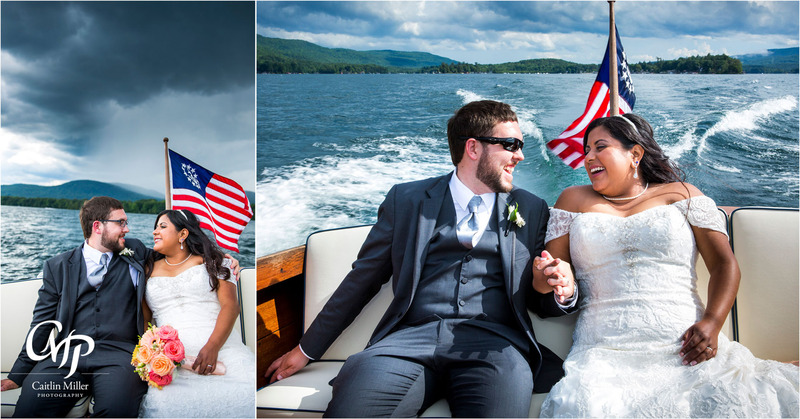 A receiving line and family photos followed before I joined the bride and groom on a private lake cruise provided by Love is on Lake George Cruises. 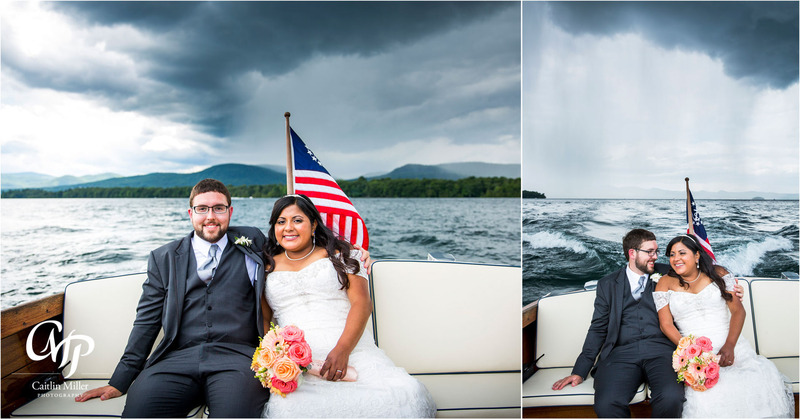 Classic Lake George weather caught us by surprise with a dramatic squall, and the couple was so relaxed and calm as we took shelter in a boathouse nearby and waited out the storm. 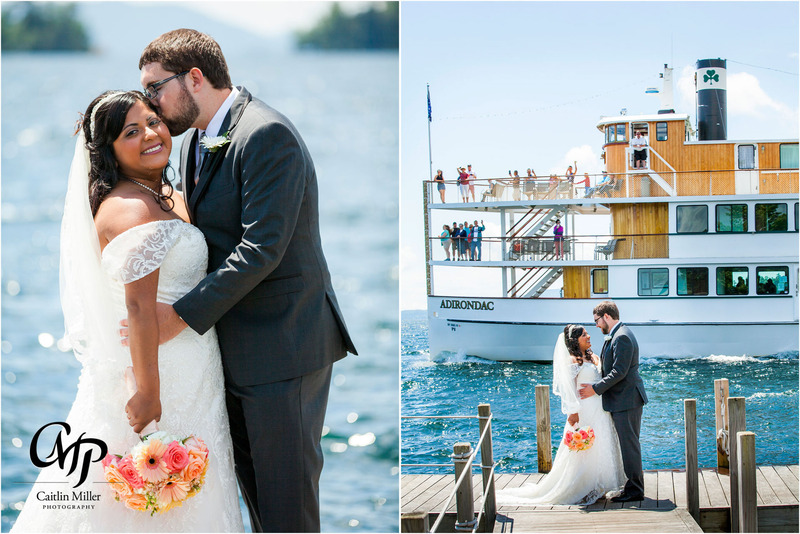 After the rains cleared, we finished our cruise on the now sunny lake and made a grand entrance as we docked at the Sagamore Resort. 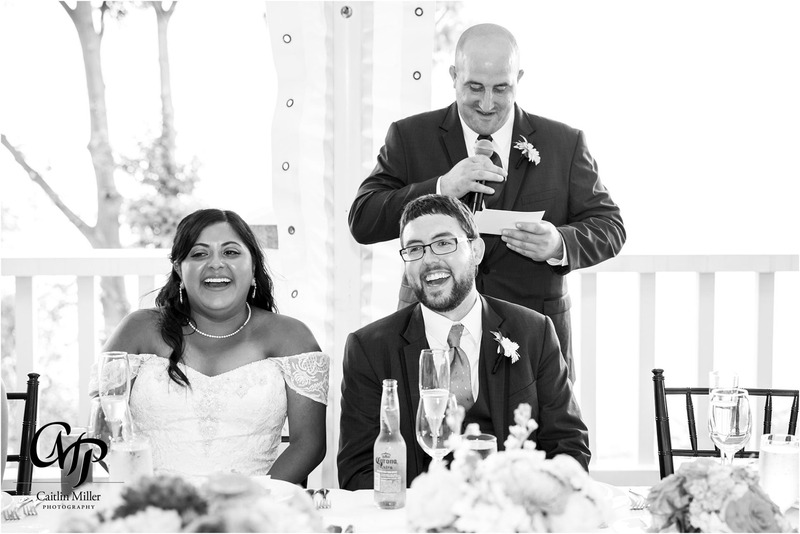 The couple enjoyed cocktail hour with friends and family before being introduced by the awesome DJ Mike Garrasi from Music Man Entertainment. 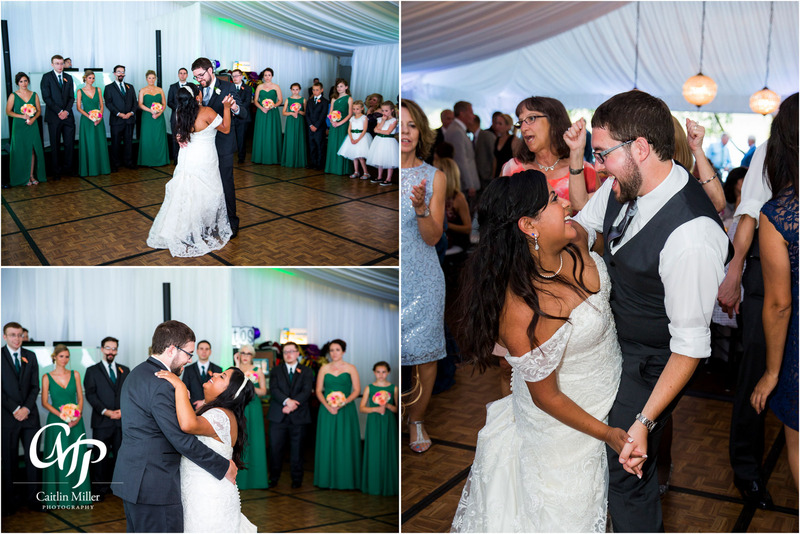 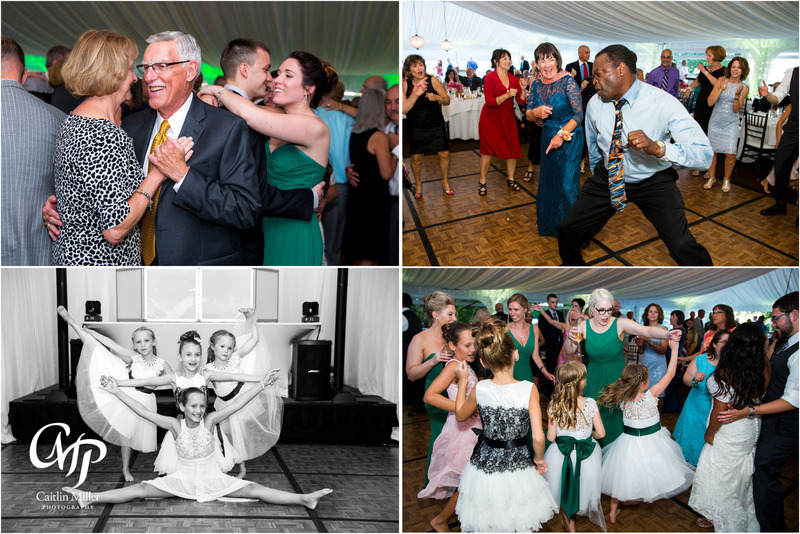 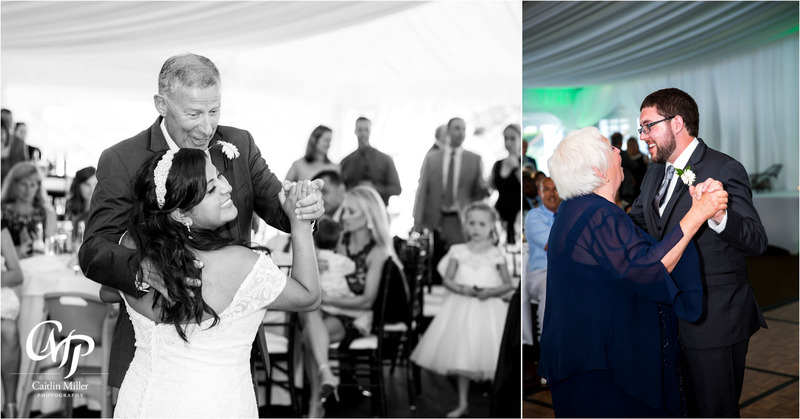 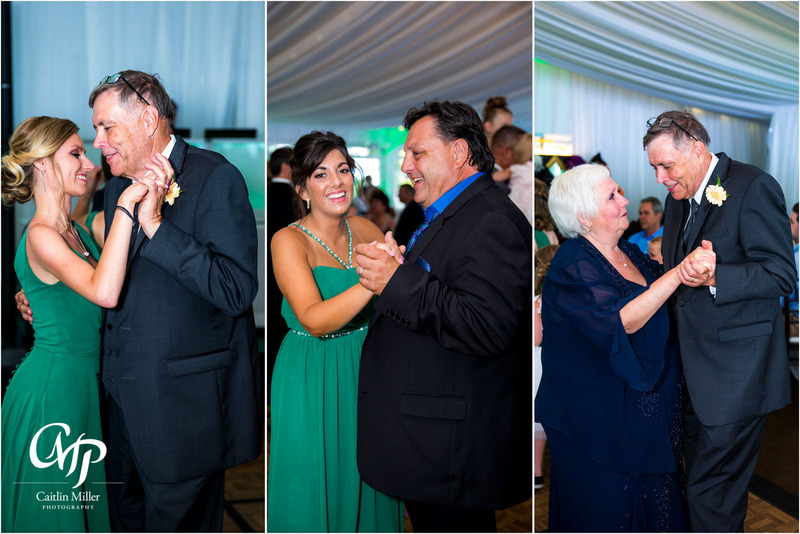 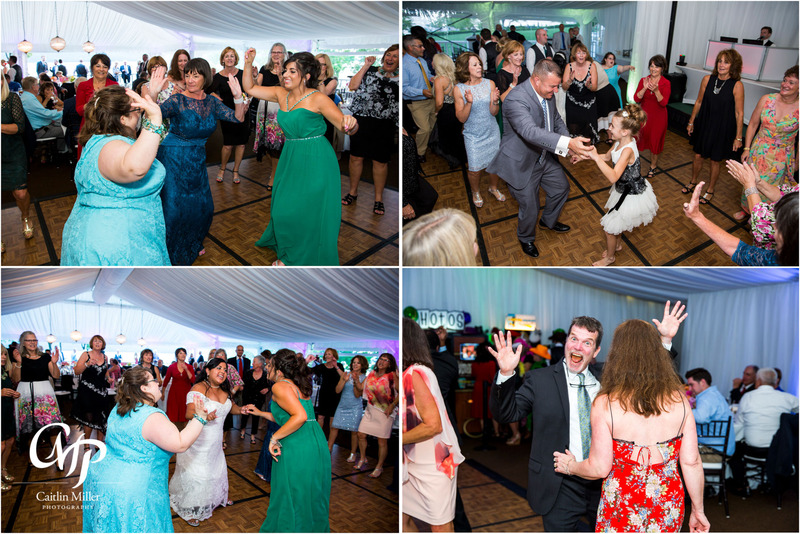 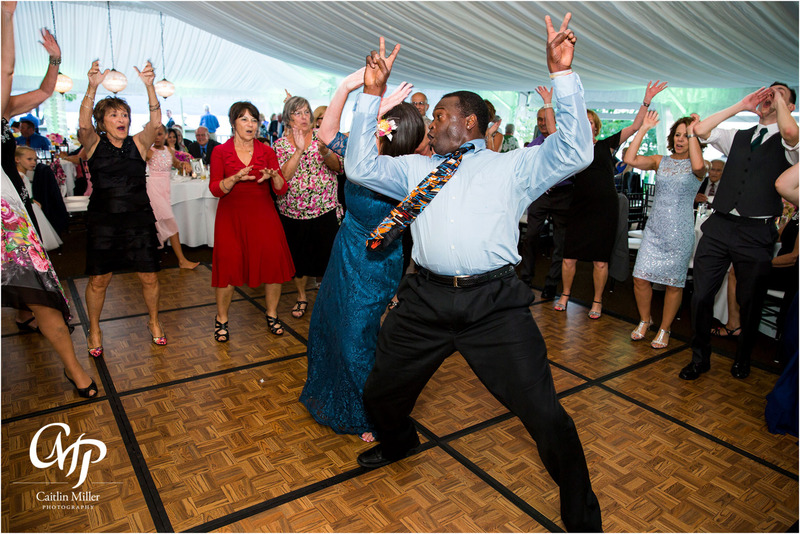 Juliana and Paul were all laughs during their first dance and speeches, and tore up the dance floor with their guests. 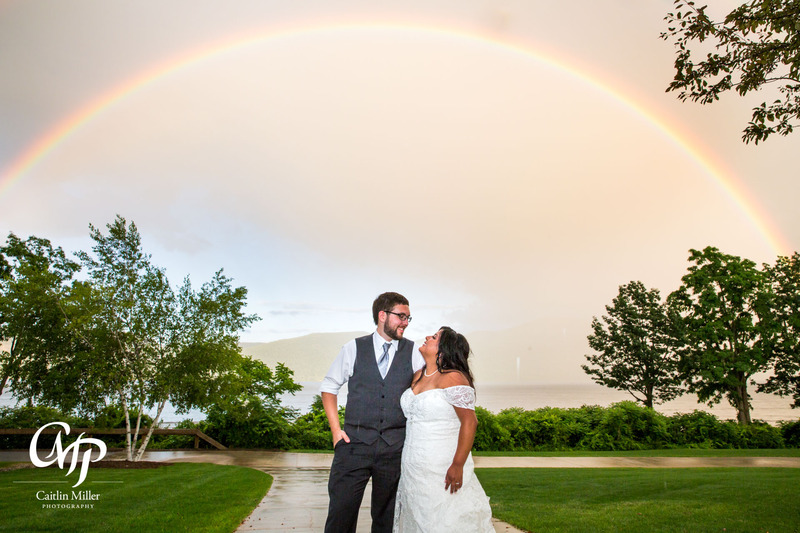 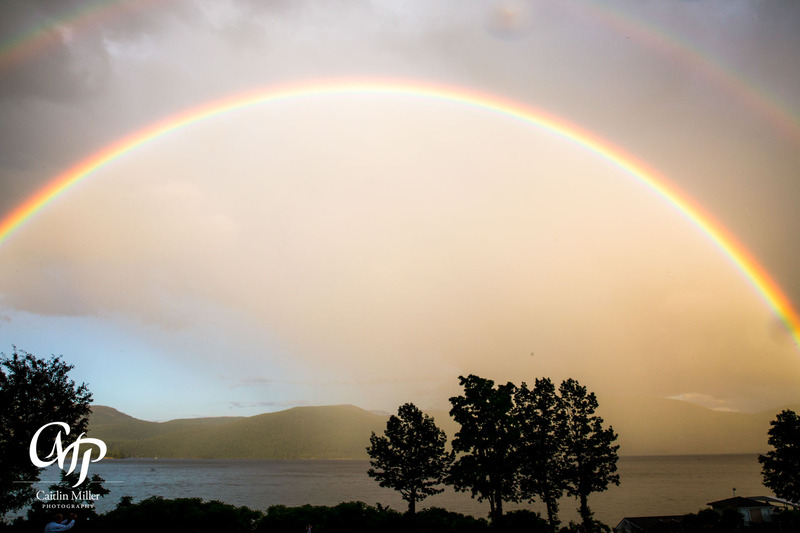 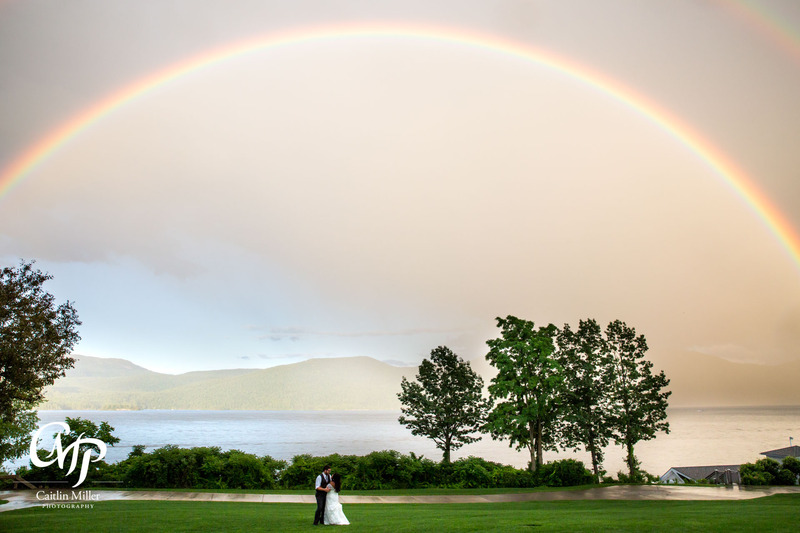 The stormy and unpredictable weather gave us a wedding day treat at the end of the night — a spectacular double rainbow over Lake George — perhaps the best this local girl has ever seen! 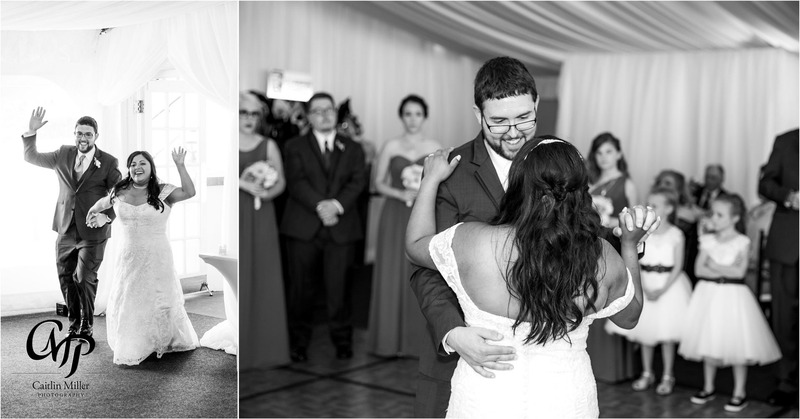 Congrats to this AMAZING couple, can’t wait to work together in the future! 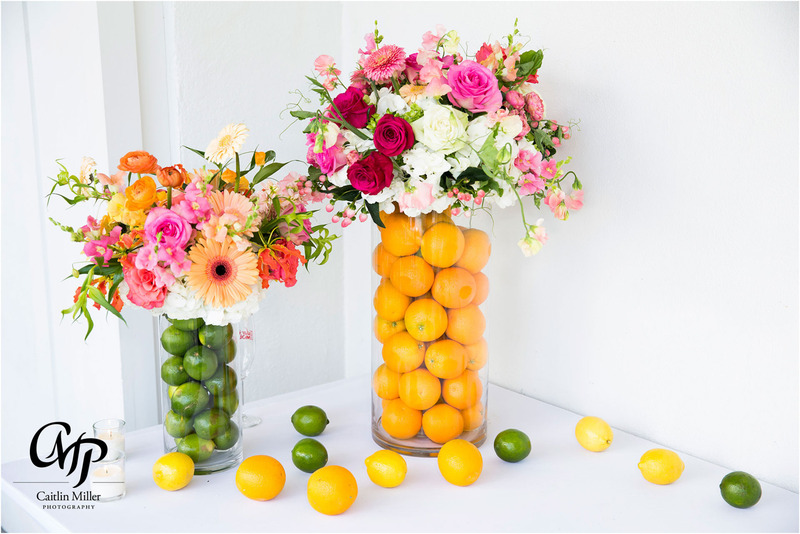 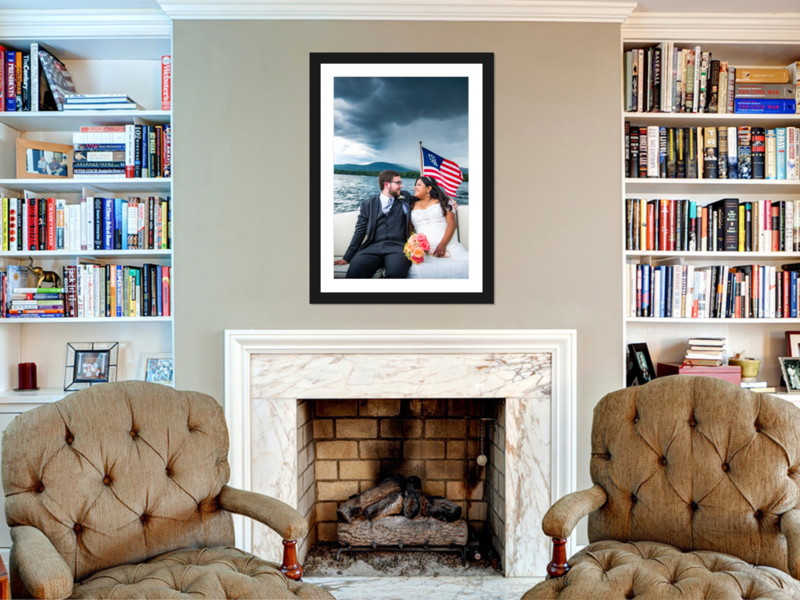 These photos also make amazing framed photos and wall art!